This was a project that took us an afternoon/evening but made a HUGE difference in the bedroom. 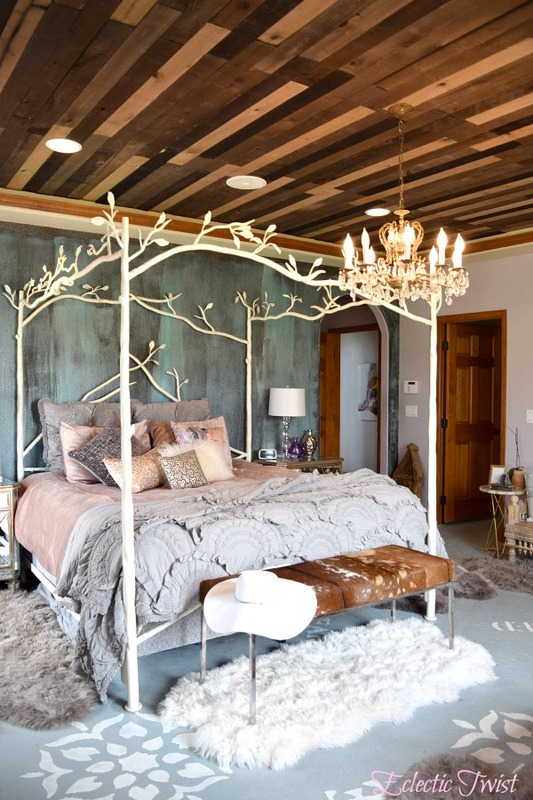 It’s so luxe yet rustic feeling with lots of interest! Here’s the full post and tutorial to see what we used and how we did it. The Bronze Metallic Effects Wall! I so love the way this turned out! It was my first foray into the metallic effects line and I’ve done 2 other projects since. 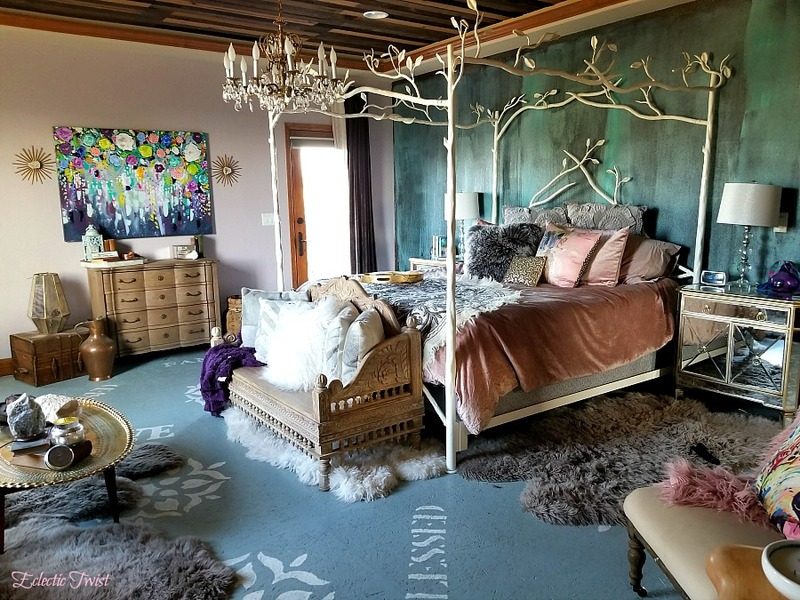 (a floor here and another wall here) It was the perfect way to bring in a hint of glam without being too in your face. Check out this whole project tutorial here! 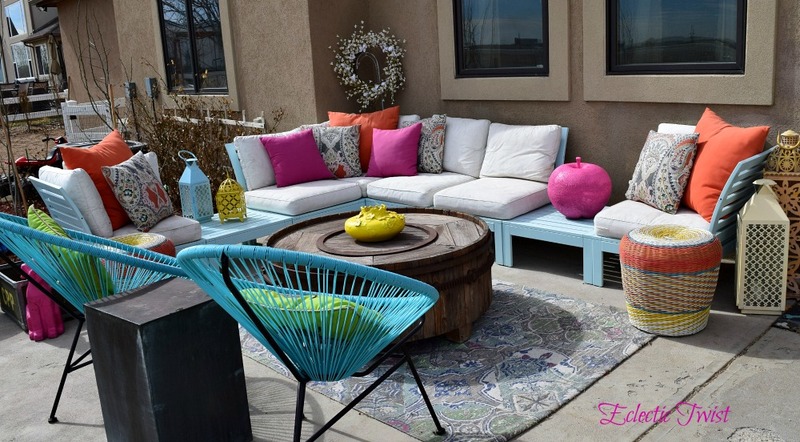 The Mint To Be Outdoor Ikea Sectional facelift! This was a fairly straightforward project but took our sad and depressed and flaking ikea sectional from ready for the trash to ready for the party! All it needed was a little TLC and a fresh coat of paint. 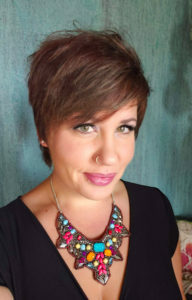 Check out the exact process and what color we used here! 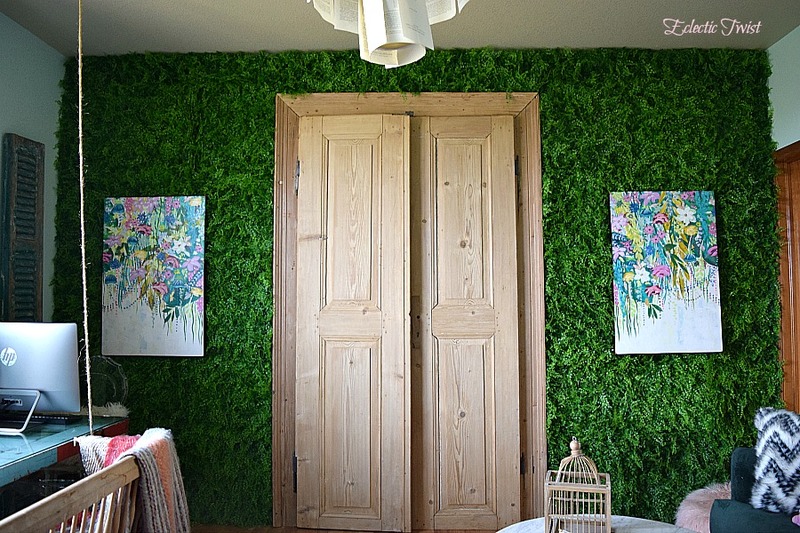 The Greenery Wall in the Schoolroom/Office! This was born out of a desire to do something TOTALLY outside the box that was fun and whimsical. You know me, gotta have the whimsical in EVERYTHING I do! It was an easy project that made a HUGE impact. Everyone that sees it goes up and touches it, it looks that real. Check out the tutorial here! 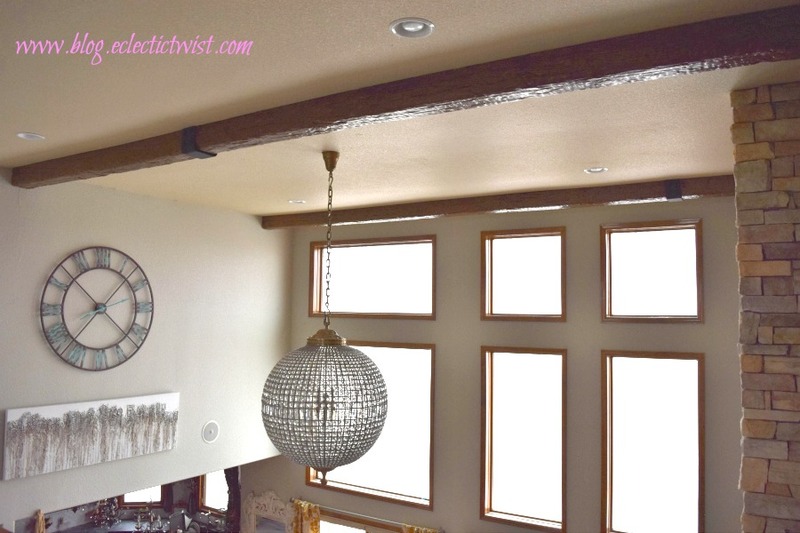 And to round out the tour the DIY faux wood beams! 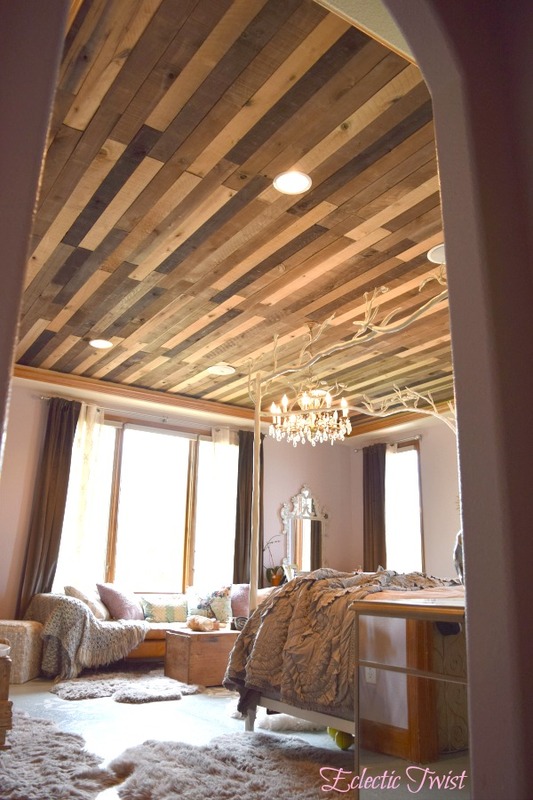 These were the most involved project on this list but they made a big difference in taking a boring tan colored ceiling and giving them some serious oomph. So in love with the look, texture and feel of them, check out the tutorial here. 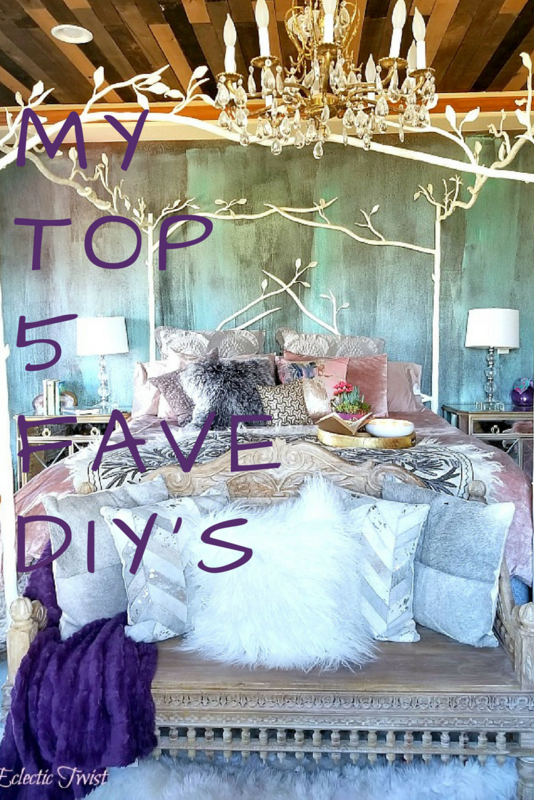 And those are my top 5 favorite DIY projects from the last year. 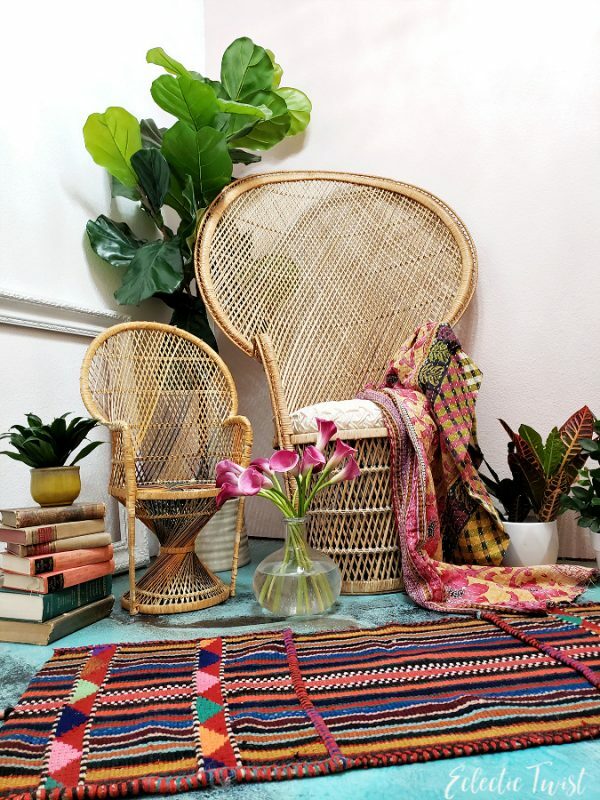 They are ALL things you can do in your own home to make a big tada moment happen in any space. 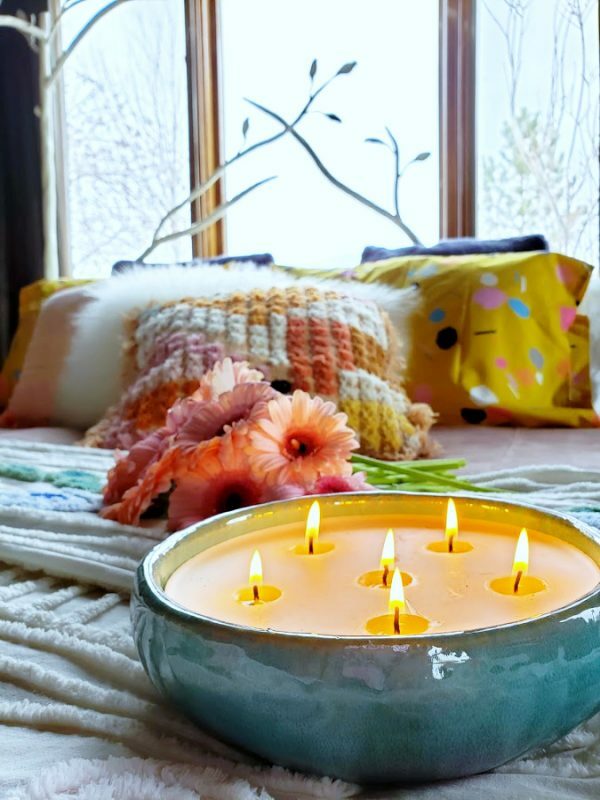 Do you have any fave DIY projects you would like to share? I always love to hear from ya so hit me up in the comments below! And don’t forget the ole subscribe box on the side for more of my crazy ideas and doings!